Matt Flaherty is a former lawyer who has been running all his life. He left law to focus on running once he started to see some potential. 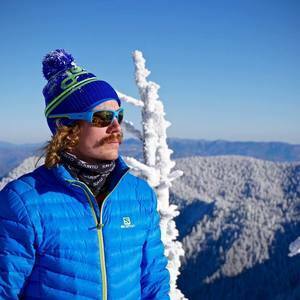 He loves loves running fast 50 milers, Rocks an awesome mustache and has a pretty good set of songs. He is now a personal coach, is sponsored by Salomon and runs all over the world. In this episode, we talk about mustaches, Cayuga Trails 50, the power of community, what draws elites to races, why some races are huge while others remain small. We also talk about developing character, writing music and some other miscellaneous fun.